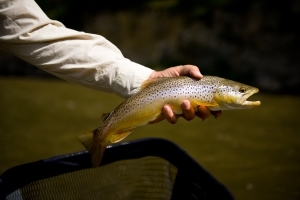 The Jefferson has Hoot Owl restrictions with fishing from 2:00 a.m. to 2:00 p.m. Right now the Jefferson is high risk/high reward for fishing. The smoke from fires in Washington and Idaho provide excellent cover for rising fish. There is a healthy Trico hatch by mid-morning and then you can switch to a hopper-dropper or swing streamers through riffles. Parachute Tricos #18 and Purple Hazes #18 work well. You should always have on hand, a size 6 or 8 Yuk Bug, Big Hole Crawler or Black Wooley Bugger. White Zonkers are equally exciting and never leave home without a Sparkle Minnow. Foam Hoppers and Purple Chubbies with a size 14 Prince Nymph.